Have You Been StormStruck Yet? Want to blow your house down and rebuild it to safely withstand severe windstorms? There’s an app for that. 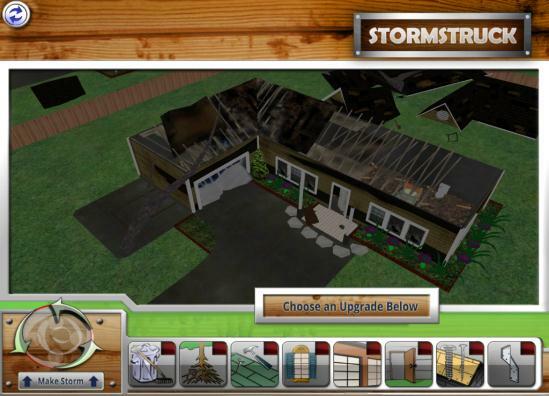 StormStruck, our new app, available in the Apple App Store for the iPhone, iPad and iPod Touch, users create an intense windstorm with a simple swipe of a finger and observe in realistic 3D animation the kind of damage it can do to an average home. Users then choose from a variety of upgrades that protect the home and enable it withstand high winds. They then learn that everything from garage doors to roof connectors can change the fate of the home and increase its chance of survival.